Sóller - Fairytale castle. 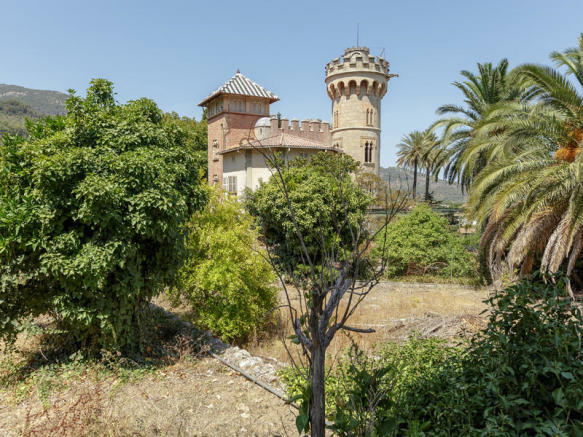 If you are looking for your very own castle, then look no further. 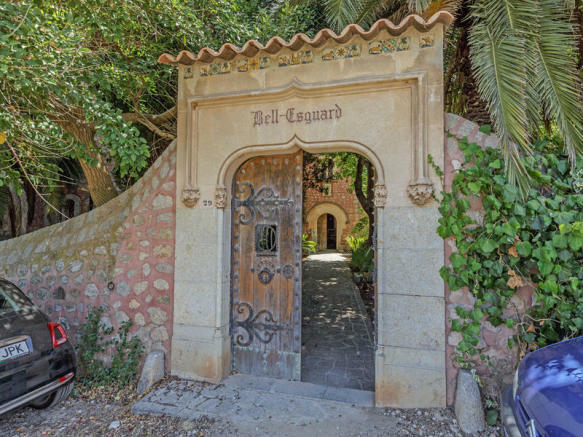 Close to the centre of the town, Bell Esguard stands proudly and reflects a bygone era when returners to Sóller, following the failed orange harvest, built the finest houses with their new found wealth. This castle boasts a replica Neo Gothic tower and an abundance of turrets and gargoyles. With its 14 bedrooms, 4 bathrooms, two salons and a main dining room, this property deservedly needs to be brought back to its former glory. Are you interested in buying or selling real estate in Majorca? We can show you the finest property for sale: holiday homes, second or permanent residences. The northwest region of Majorca, with its rugged and unspoilt coastline from the Port of Sóller down to Estellencs, is one of the most beautiful places on the island. Its picturesque landscape with impressive and imposing cliffs, olive and citrus trees, ancient terraces and traditional historical properties has inspired artists, composers and poets for many centuries. Although popular with tourists, the region retains its unique and traditional identity. Only two hours flying time from the mean European cities, the island makes an excellent lifestyle choice year round. It also provides a safe environment. As such, indeed, many families are discovering that bringing up a family on this island can offer the best of all worlds. Investing in a property on Majorca is a solid, long term investment and offers all the benefits of a second home in the sun. Our team has been successfully engaged in the mediation of premier properties on the west coast for many years. We are professionally committed to out clientele. Our multilingual team are happy to give advice and answer any questions concerning purchasing or selling a property in Majorca. From our property shops in Sóller and Deià, we serve the following locations: Estellencs, Banyalbufar, Port des Canonge, Valldemossa, Deià, Sóller, Puerto de Sóller and Fornalutx. While you peruse our site, you will no doubt be inspired by our diverse and exclusive real estate offers in Majorca. Go on … Find the property of your dreams! 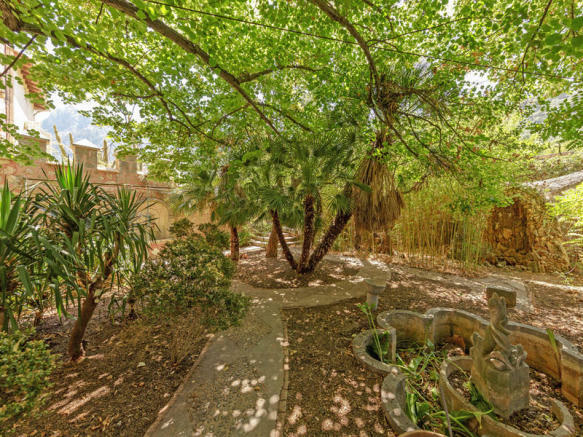 This is a property advertisement provided and maintained by Engel & Voelkers/Soller/Mallorca, Engel & Voelkers Soller/Majorca (reference 113179_I-00MMVI-W-00S8N1) and does not constitute property particulars. Whilst we require advertisers to act with best practice and provide accurate information, we can only publish advertisements in good faith and have not verified any claims or statements or inspected any of the properties, locations or opportunities promoted. Rightmove does not own or control and is not responsible for the properties, opportunities, website content, products or services provided or promoted by third parties and makes no warranties or representations as to the accuracy, completeness, legality, performance or suitability of any of the foregoing. We therefore accept no liability arising from any reliance made by any reader or person to whom this information is made available to. You must perform your own research and seek independent professional advice before making any decision to purchase or invest in overseas property. Learn everything you need to know to successfully find and buy a property in Spain.